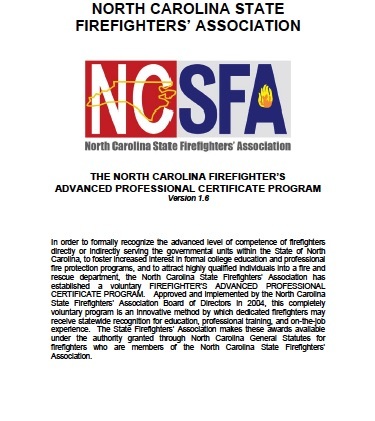 In order to formally recognize the advanced level of competence of firefighters directly or indirectly serving the governmental units within the State of North Carolina, to foster increased interest in formal college education and professional fire protection programs, and to attract highly qualified individuals into a fire and rescue department, the North Carolina State Firemen’s Association has established a voluntary FIREFIGHTER’S ADVANCED PROFESSIONAL CERTIFICATE PROGRAM. 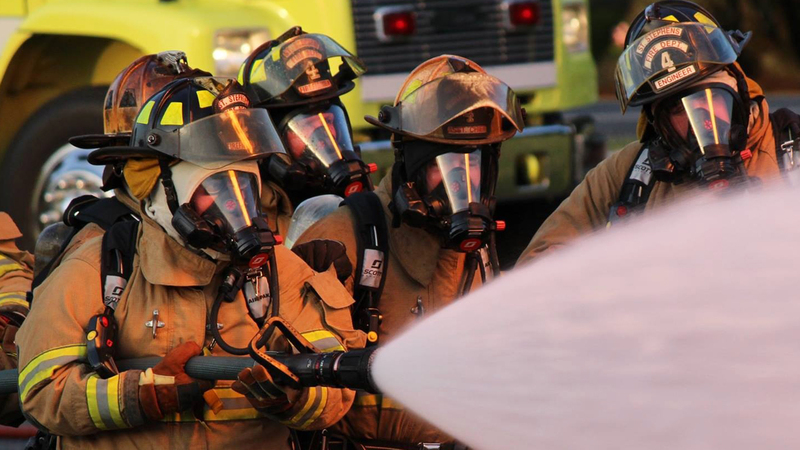 This completely voluntary program is an innovative method by which dedicated firefighters may receive statewide recognition for education, professional training, and on-the-job experience. 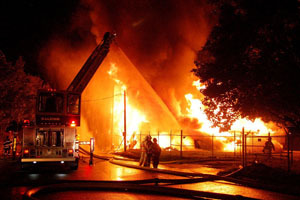 All documents are available as Acrobat PDF downloads.